Perhaps I should I start by re-naming this charming book ‘102 Things to do with Baby’ because you’ll want to read it with your bub immediately. Reminiscent of the The Baby’s Catalogue by Janet and Allan Ahlberg, Jan Ormerod’s sweet 101 Things to do with Baby, has recently been re-released (it was first published in 1984). Filled with Ormerod’s simple drawings and descriptions, 101 Things to do with Baby is about all of the things that happen in a family’s day. It’s told from the perspective of young girl and her baby brother and is a fantastic demonstration of how a new baby is made a part of family life. The joy is in the familiarity of what’s described. It begins with waking up, breakfast and household chores and finishes with some play and a goodnight cuddle. 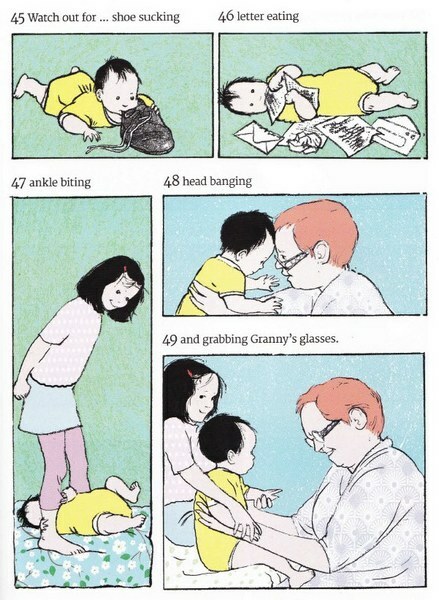 I like the fact that the illustrations include a wide range of activities from nursing and the baby sitting in a bouncer through to the baby enjoying ‘tummy time’ and an outing in the baby carrier with dad. 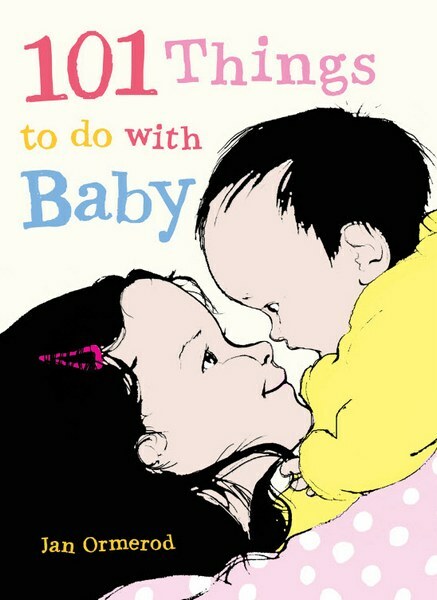 101 Things to do with Baby is available from Book Depository which delivers free to Australia. It’s suitable for children aged two and over (and is a must-have for kids with a new sibling! ).